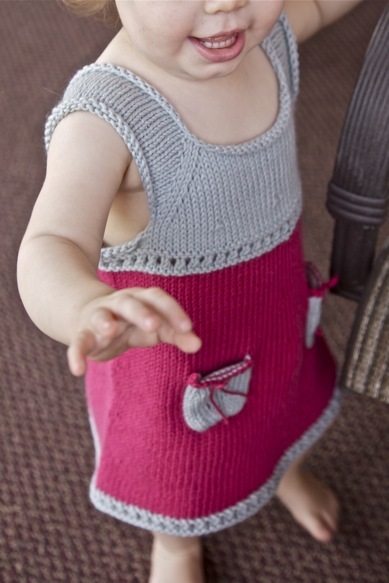 A transitional weather tank dress, knit in one piece from the top down with eyelet and pocket details. Three inches of positive ease almost guarantees this can be used at least 2 years! Options for tunic length and knee length included. 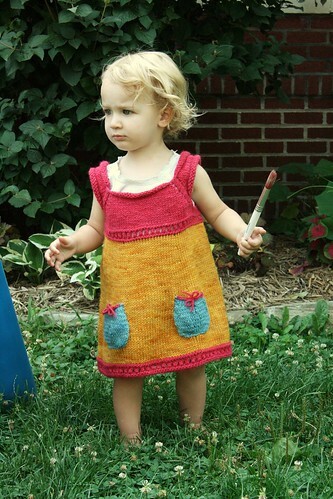 This entry was posted in baby, dress, knitting, patterns by cosymakes. Bookmark the permalink.